An all new, premium all-inclusive resort. 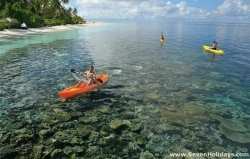 The same qualities of snorkeling, diving and fun, with the added beauty of setting, cuisine and service. 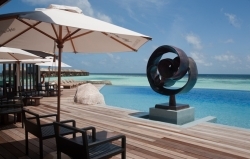 A mecca for divers, great for honeymooners as well as for children, rewarding for foodies and spa aficionados, All delivered with a quality of service notable even for the Maldives. 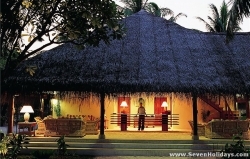 Coral, thatch, sand, coconut wood – this 5-star reflects masterfully the essence of Maldives. Find heavenly rooms and a consumate spa on this classy, all-Italian resort. 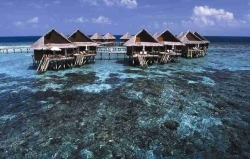 Italian-led, classic Maldives resort, with great snorkeling. Long, slow days with entertainments and activities if and when you want them. Enjoyed mostly by Italians, others are yet welcome to enjoy the unspoilt beauty of a well-kept resort. Stands out for its beach, reef, excursions, spas and joyful staff. One of the country's finest resorts now long overtaken and looking old-fashioned. 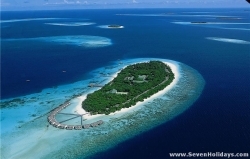 Offers the quiet life and the Maldives essence at a very reasonable price. Classy cuisine, romantic rooms and a lazy lagoon. An island for the honeymooners of all ages. Yet also with water-based sports second to none. Large, busy and joyful resort with excursions and activities for everyone. 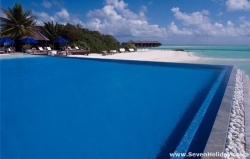 With a wonderful beach and great diving, Meeru makes many dreams come true affordably. A small, pretty place for the quiet pleasures of life. 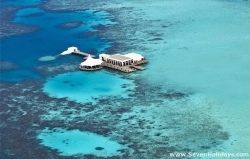 Diving and snorkeling, fine service and good food in a beautiful, classic Maldives setting. Italian style resort with luxuriant gardens and large, delightful rooms. Nika provides undisturbed intimacy, each hidden room with its own private beach or large deck. Thoughtful design, right down to the mood music, on a beautiful island. So much to keep you active. Great for families as well as young couples and honeymooners. From deluxe to expansive honeymoon, well-priced Olhuveli is almost the last word in water villas. Smart, impressive facilities grace this large and cosmopolitan resort. 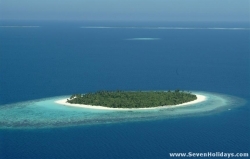 Constructed island exquisitely designed down to gorgeous detail in rooms, menus, gym and spa. They love children. Man-made luxury, with natural features yet to catch up. Palm Beach has come to an old island without disturbing the wonderful wide beaches and pretty interior. It is well-run, with a laid back approach to its ample activities. Grand resort overcoming geographical flaws with an array of excursions, sports, and special events. Popular, not least for the rapport with staff and proximity to Male. Opened in August 2009, luxurious Alila sets new standards for ecological design. Located in the biggest, most beautiful atoll, it promises great new dive sites, enriching local encounters and service to match the best. Truly international and well priced, Ranveli has a pretty interior and bulging sand bank to compensate for the lack of beach. The two-storey rooms contain classy decor. 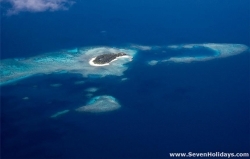 Naturally beautiful island hosting a great value all-round resort. 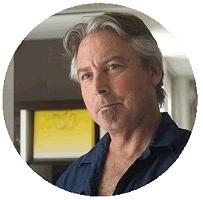 Snorkeling and diving are very good, the beach is gorgeous, food is good, and there is plenty to do. A French favourite yet welcoming to all. Sophisticated, elegant, rustic and relaxed, this is Maldives as it used to be. Come here to live life simply. New resort on a new atoll bringing an easy-going club feel to a near-perfect island. Great snorkeling, great food, great facilities and great fun.